Federal Pacific Type FB 1-Phase non-ventilated general-purpose transformer has primary voltage rating of 240 x 480-Volts and secondary voltage rating of 120/240-Volts. This reverse connectable transformer with frequency rating of 60-Hz, has power rating of 1 KVA. It has copper winding to deliver lossless power output. This wall mountable transformer features steel construction. It has wire leads terminal connection. It measures 5-1/4-Inch x 6-1/2-Inch x 11-1/4-Inch. It is ideal for indoor/outdoor applications. 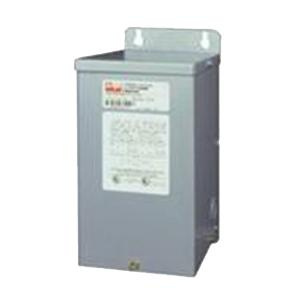 This NEMA 3R rated transformer withstands temperature rating of 150 deg C. Transformer is UL listed and CSA certified.